Cherry Berry : KINGDOM MOSH! is Where You Get the MOSH of Your Childhood Fantasies Come True! KINGDOM MOSH! is Where You Get the MOSH of Your Childhood Fantasies Come True! Ever dreamed flying a paper plane and it suddenly comes to life right before your eyes? Ever imagined drawing your own sea creature that could possibly swim in an aquarium? Ever dreamed producing your very own fireworks just by dancing? 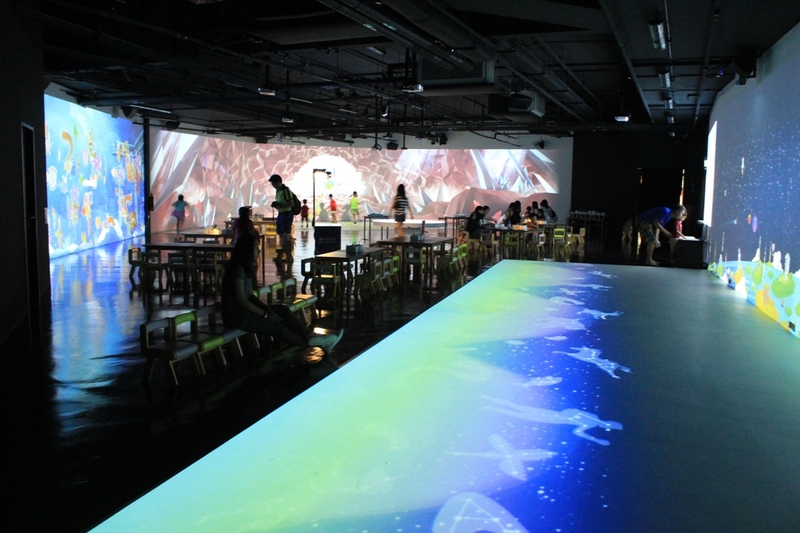 Ever imagined playing hide and seek with animated objects? Ever dreamed of creating your very own mascot? The answer is a resounding YES! for most of us, I suppose. After all, we were all kids once upon a time and if you are like me who is a self-proclaimed kid-at-heart, my imagination does take me to a land of endless possibilities at times and it enables me to realize most of my childish childhood dreams. How about the kids of iPad generation, you may ask? Let me tell you my most used line to my teenager whenever she whines about not having a post-paid internet connection on her phone. It goes like this: "Do you know that I got my first handphone when I was already in the university? Do you know that I only learned to maximise the usage of the internet when I was already earning a living?" When I was a kid, I fly paper planes and sail paper boats with my siblings. I build a big playhouse out of fallen tree branches with my childhood friends. We play patintero under the moonlight. I could go on and on but you get the drift. Kids these days are SO lucky to be born with the great benefits of advance technology. Don't get me wrong, I am not a die-hard fan of advance technology and I don't encourage children to stay connected to tech-toys ALL the time. I actually encourage my kids to unplug most of the time and even started my own hashtag of #childhoodunplugged with SM (stands for Sweet Memoirs) on my Instagram. BUT... in almost everything in life, balance is the key. We can't deny the kids the many great benefits of advance technology, can we? When I learned that MOSH! 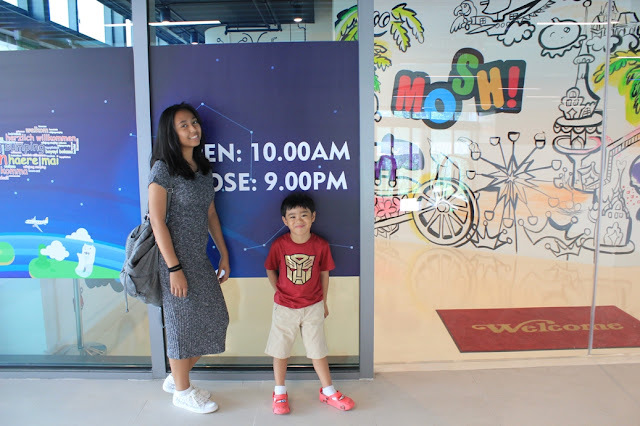 opened in one of our favourite place to hang out in Sentosa Island none other than the Palawan area where our favourite kids' club by the beach - Port of Lost Wonder is located, I knew I had to bring the kids and check it out. So I took leave during the March school holidays, renewed our Islander Pass and took the Sentosa Express to the Beach Station. MOSH! 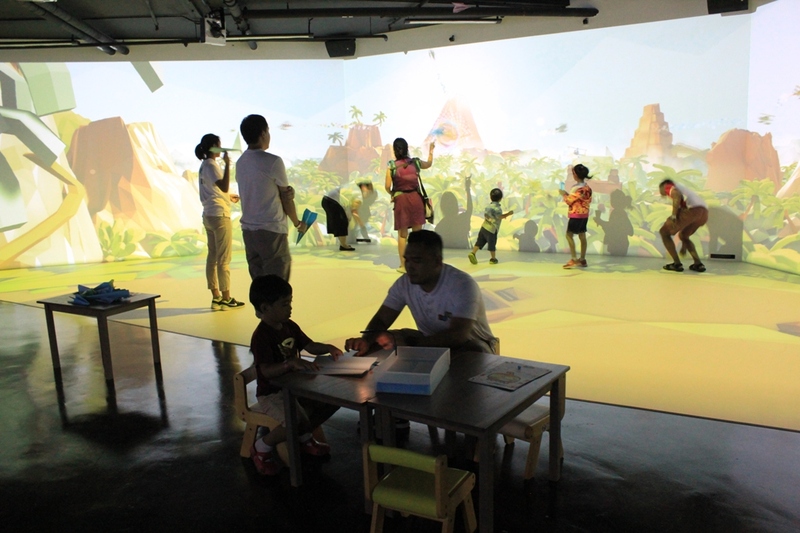 is located at the 3rd level of the newly opened Palawan Kidz City, the very same place that houses Kidzania that is scheduled to open this month. Apart from the warm welcome you get from the entrance doormat, a cheery staff greets you as you enter to secure your entrance tickets and you get your hands sanitized before entering Kingdom MOSH! MOSH! 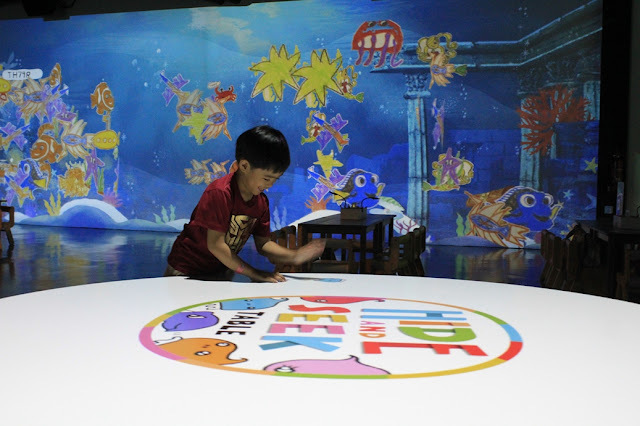 welcomes you to its five main attractions namely World of Wonder, Paper Plane Adventure, Doodle Aquarium, Hide and Seek, and Firework Party. If you notice, it's going to take you to the amazing world on fantasy, air, sea, land and space. The entire place may look small, my bubble thought reads, "Oh, so this is it?" as soon as we entered the premises. It may sound cliche but it's synonymous to the saying, "Don't judge the book by its cover." Your kid will get to design his/her own MOSH!cot, get it scanned and see for themselves how it comes to life and mingles with the rest of the MOSH!cots at the World of Wonder. Paper Plane Adventure from Sweet Memoirs on Vimeo. 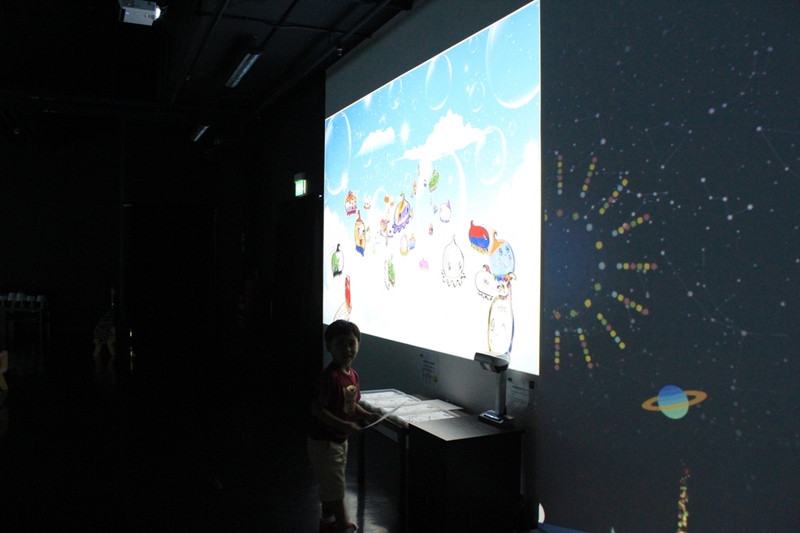 Your kid will get to make his/her own paper plane, fly it over the interactive projection with vector sensors and see it come to life as an aircraft flying from where your paper plane landed on the screen! This has got to be G's favourite attraction at Kingdom MOSH! 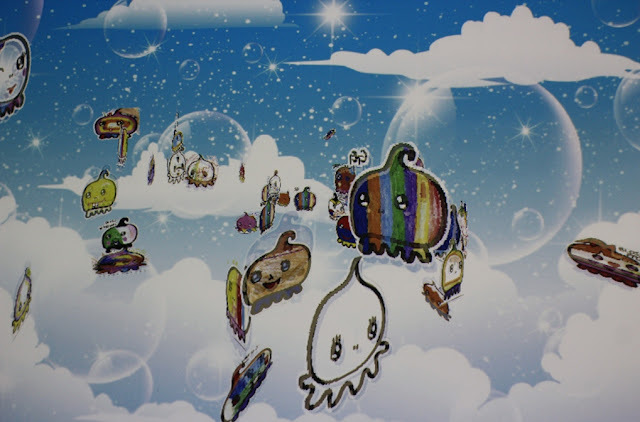 Doodle Aquarium from Sweet Memoirs on Vimeo. 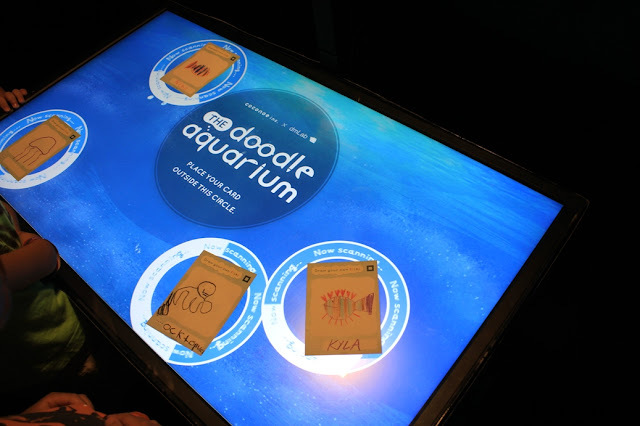 Doodle Aquarium is where your kids create their own sea creature, drawn in a special card which they can place at the Doodle Aquarium scanner and voila!, their sea creature is ready to swim at the large ocean at Kingdom MOSH! along with many other sea creatures you've never seen before. Hide and Seek at Kingdom MOSH! from Sweet Memoirs on Vimeo. 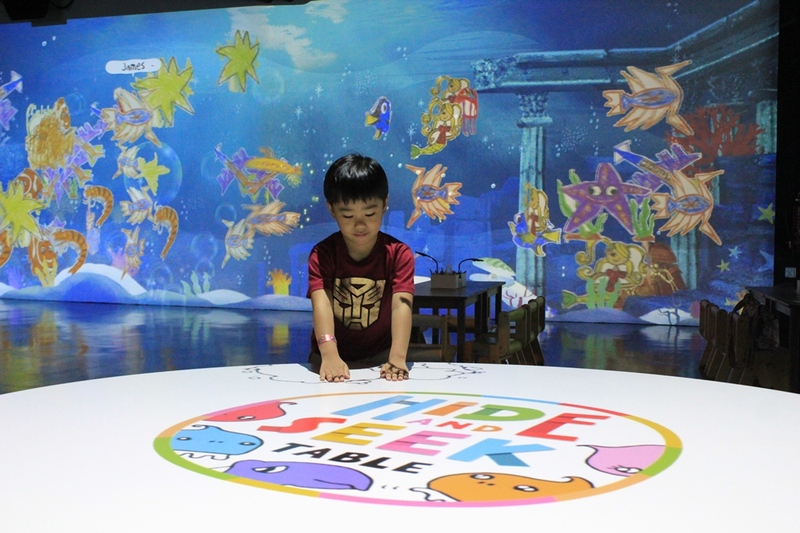 Place any object at the Hide and Seek Interactive Table and you'll be surprised by little creatures who love to play hide and seek with you! 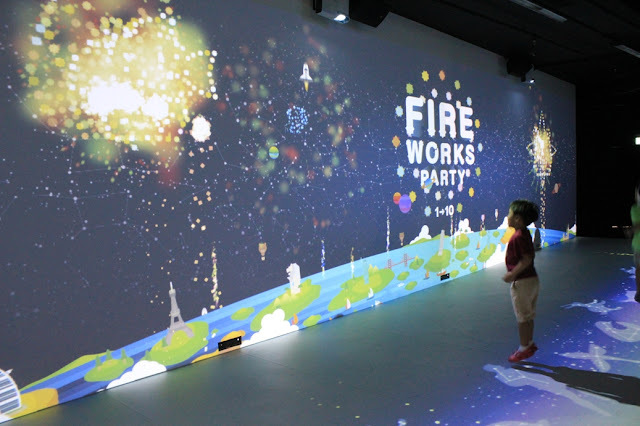 Fireworks Party at MOSH! from Sweet Memoirs on Vimeo. In this part of Kingdom MOSH!, you are the creator of beautiful blasts. Dance to your heart's content and be amazed by the stunning fireworks display right before your eyes. 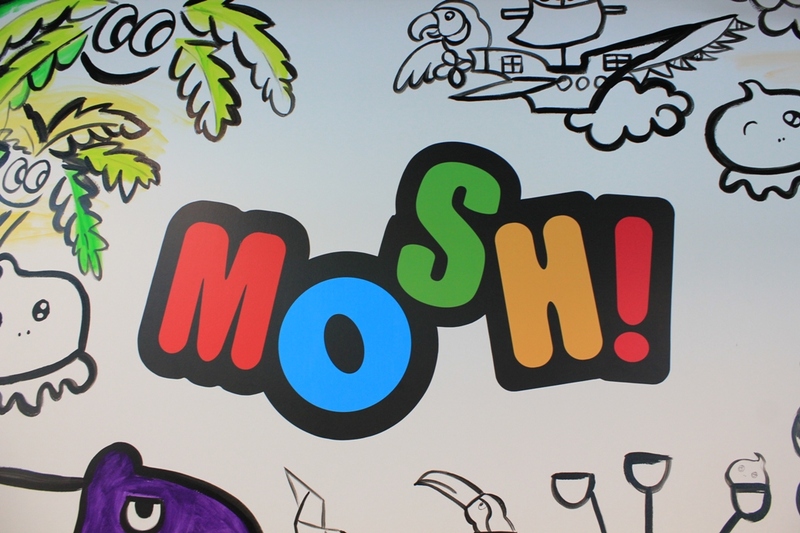 Kids' day out at MOSH! I have proven it here, what you see is not always what you get. Kingdom MOSH! offers lots of fun although the place looks kinda small. 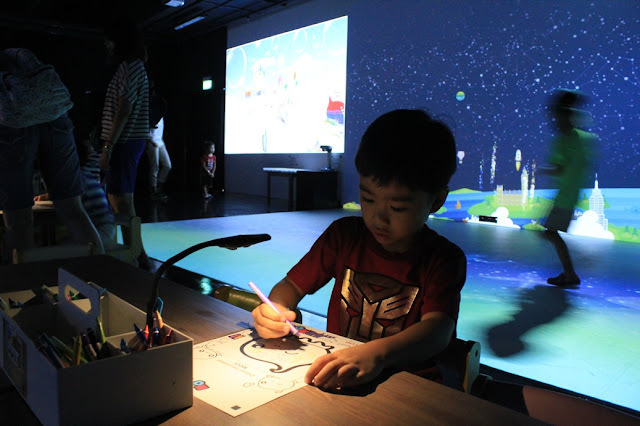 The best thing is, it's interactive so your kids get the best of both worlds: advance technology + they still get to do some physical work like dancing, drawing, scanning and flying paper planes! They are sure to make some new friends too so MOSH! is definitely good for them! 2 winners will be chosen on 15th April! Tickets are to be picked up at Simei/Tampines or Dhoby Ghaut/Orchard MRT Station from 15th April onwards. Goodluck! I think the paper plane adventure is the best attraction for me because it looks very cool , very imaginative and fun for the kids. Thanks ..hope I can win. 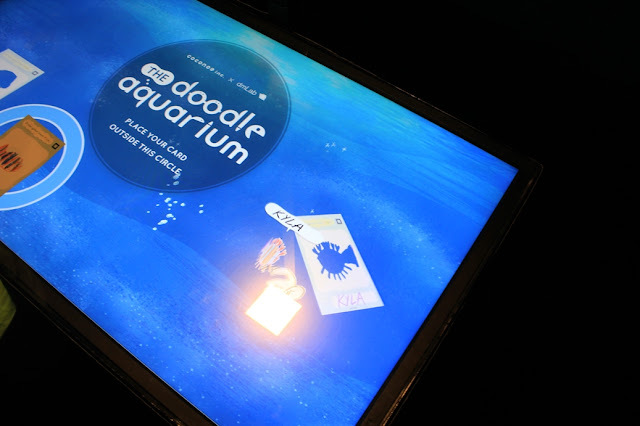 I love the doodle aquarium because I hope it will help trigger my kids' love for drawing by seeing their creations come to life. For my kids fireworks party zone will be the best because they are too much fond of enjoying the crackers during our Indian festival Deepavali, April is my birthday month so hope to win to bring my kids there! My two children (5 & 6 yo) will love Doodle Aquarium as they love to draw. The best is they will come alive on their own drawing sea marine. It is very amazing.